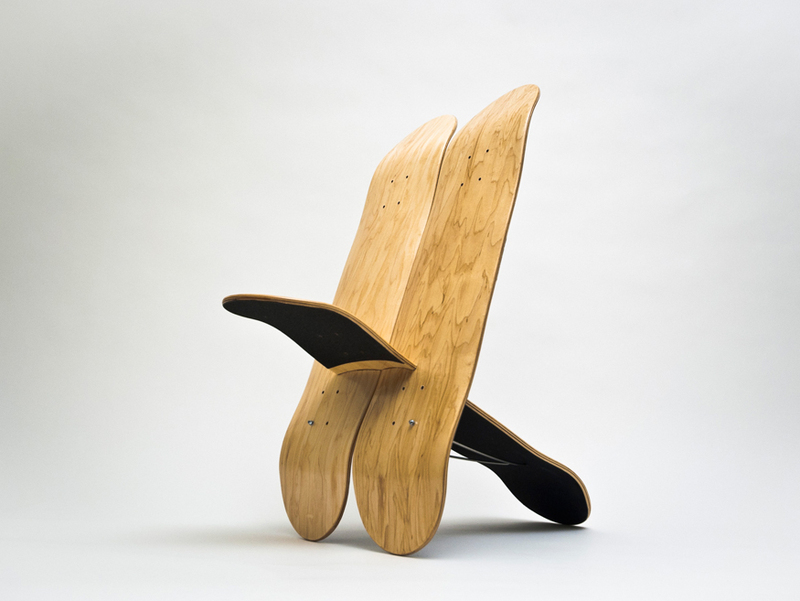 The Sitflip “Tre” is a light and mobile chair. As mobility was one of the primary objectives of the design, the construction is kept to the bare minimum. Therefore the seating of the chair is integral part of the load-bearing structure. Just two supplementary tension rods are required for taking up the emerging drag forces. This makes the chair light, strong and easy to setup. The relation between skateboarding and graphics was always very strong. 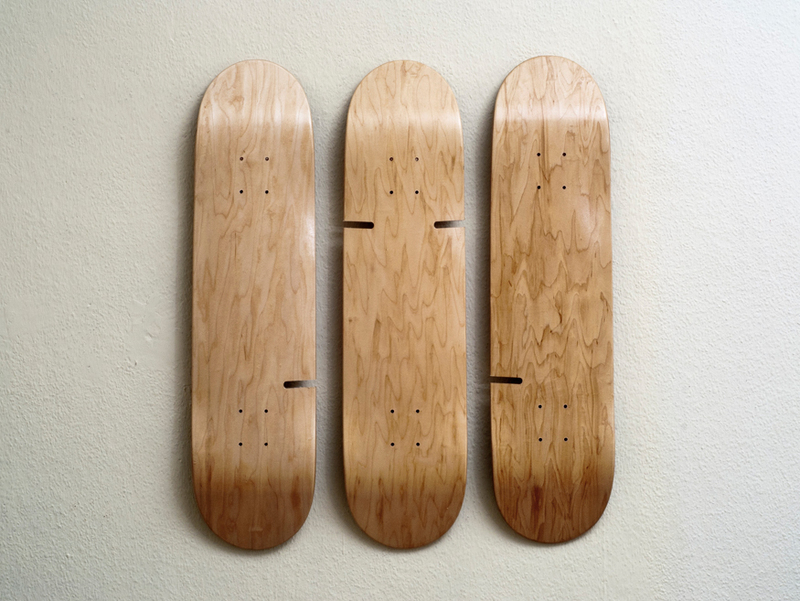 Lance Mountain, professional skateboarder and artist, puts it in his comment on the book disposable – a history of skateboard art, written by Sean Cliver: „Skateboarding has always been much more than the progression of stunts performed on a skateboard. There’s a whole creative mentality behind it all that has influenced our culture.“ Graphics where always more then mere illustrations. They have a integral function for shaping the identities of those directly involved with skateboarding. Skateboard graphics are unique pieces of art. 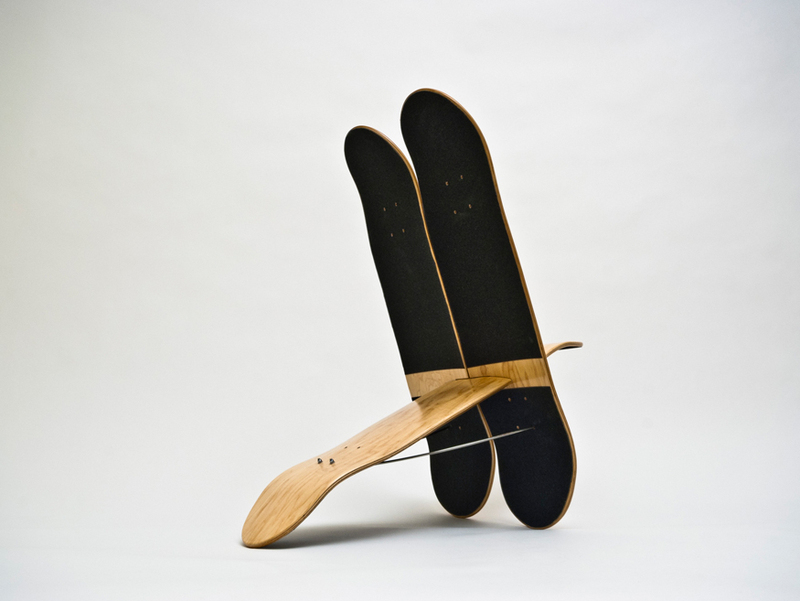 This whole idea is very important in this project as the chair is easily to disassemble – so it is possible to show the single decks of the Sitflip “Tre” chair on the wall as canvases.